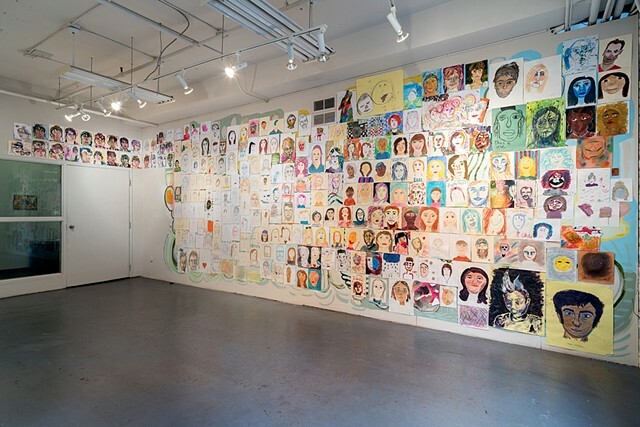 This collaborative mixed media installation is a culmination of nearly 250 self portraits created by adults and children who passed through Artspace, in Raleigh, NC during the month of July, 2017. 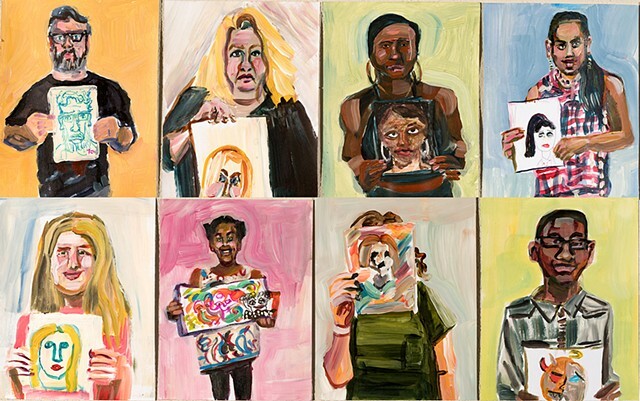 The project stems from my practice of making a self portrait each day and my interest in self portraiture as an act toward reclaiming personal identity. 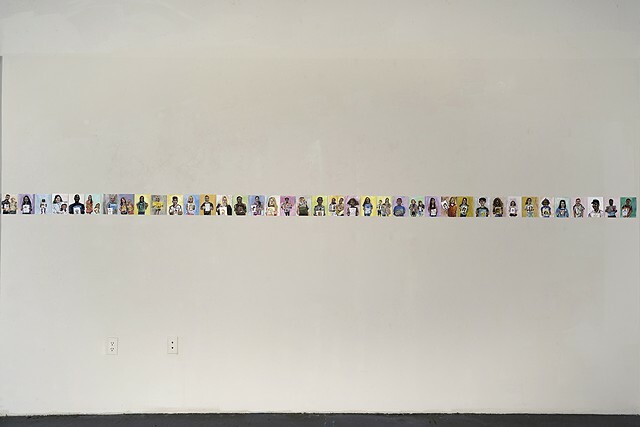 All participants who created a self portrait for One is a Crowd were able to pick-up their portrait at any point before September 30th, thereby revealing a section of an underlying mural painted directly onto the wall. Inspired by street and comic book art, the mural hints at the molecular, mercurial and primordial origins of all living things. approx 25 ft x 10 ft.